Ascending Butterfly: Monday, February 22, 2010 - Today's Words of Inspiration and Great Giveaways! Monday, February 22, 2010 - Today's Words of Inspiration and Great Giveaways! 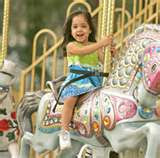 Do you remember back when you were young and rode on a merry-go-round? Did you try to reach for the Brass Ring? Did it often seem so close you thought you had it? Did you ride the Carousel each time hoping to grab the Brass Ring? Life can often times feel like a Carousel, a constant up and down, with an endless round and round motion when you are just itching to move forward quickly and make faster progress toward your brass ring. For each of us that Brass Ring is different. Our measures of satisfaction, success and personal fulfillment differ. But there is one constant, that we each have a brass ring uniquely our own and sometimes we can't reach it alone. What is your Brass Ring? I do know that the Brass Ring isn't going to fall from the sky and magically land in our laps. Despite the ups and downs, the moving farther away from it and then hurtling toward it again, it is still there. It is still within your grasp. This month has found me so much closer to my Brass Ring than I ever imagined I could be. It has given me the fuel to continue to press forward. I hope the daily words of inspiration shared here will bring you closer to your own brass rings! ENDING SOON ALERT: Affordable Scarves Giveaway! TWO lucky Ascending Butterfly Readers can win the scarf of their choice including pashmina, cashmere and silk, the choice is YOURS, enter HERE!